TV STORE ONLINE: As I was revisiting the film recently--some of the side views of Harry's face--reminded me of my very-hairy Jewish uncle. MARTIN: (Laughing) Kevin Peter Hall, who played Harry, was over seven foot tall. He told me while they were shooting the film that it was the first time that kids weren't afraid of him. 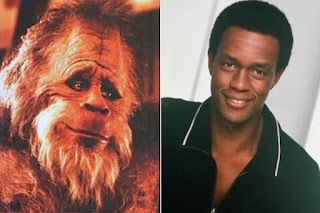 For whatever reason, you put a tall man in a costume with fur and he's no longer scary...Kevin, also played 'The Predator' in PREDATOR (1987) with Arnold Schwarzenegger. TV STORE ONLINE: There are three screenwriter's listed on HARRY AND THE HENDERSONS...Did you originate the story or did you come on during a re-write? MARTIN: No, I originated it. In fact, I plucked the entire thing out of a dream. I woke up one morning, sat down, and wrote it all down in a one-page synopsis. 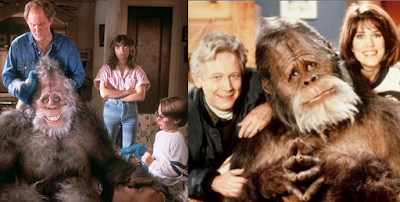 I wrote down something like: "The Hendersons, an average-family from Seattle, hit a Bigfoot with their station wagon during their yearly vacation..." Originally, it was written with the intentions of it being a half-hour television pilot. My writing partner and I, Ezra Rappaport, had worked with [Director] William [Bill] Dear on the Michael Nesmith film ELEPHANT PARTS (1981). 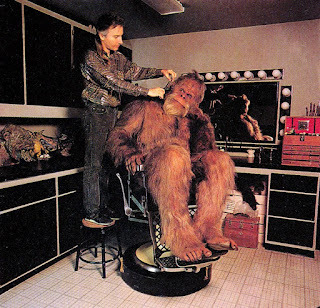 We showed our script to him, which at that time, was only written as a half-hour television pilot. He suggested that we write it as a feature-film. While we were doing that, Bill Dear had little Drew Barrymore, who he knew, and who had just done E.T. (1982), tell Steven Spielberg that she thought that ELEPHANT PARTS was really funny. Spielberg saw ELEPHANT PARTS and hired Bill Dear to director an episode of AMAZING STORIES (1985-86) called "Mummy Daddy." MARTIN: I am! That turned out well. 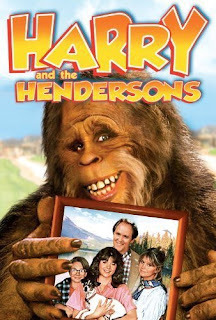 So we did that and we got our script to Steven Spielberg for HARRY AND THE HENDERSONS and within thirty-six hours of handing him the script he decided that he wanted to make it. TV STORE ONLINE: How did long did it take you to write that first draft of HARRY? MARTIN: Not too long. Like three months, I think. Basically, the original half-hour television pilot that we had first written became the first thirty minutes of the film. 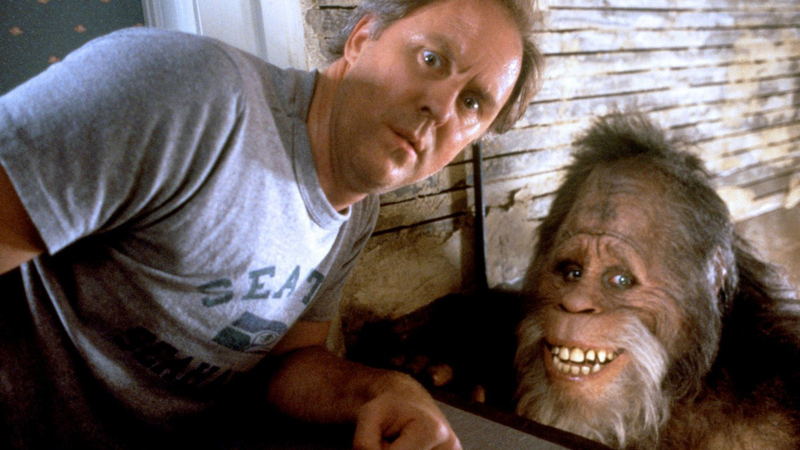 You know, what makes HARRY AND THE HENDERSONS work so well, is John Lithgow. He's just a great actor, and a wonderful person--his father was a director at the Old Vic in London. He comes from great stock and he really pulled all of the actors together in the film. MARTIN: No, he wasn't! (laughing) I thought it was necessary that he have some sort of character arc that he could come from. I've always thought that a lot of that in the film was a bit heavy-handed. And Bill Dear had first cut rights on the film and I think a lot got lost there too. For example, at the point where Harry is in the house and John Lithgow is up on the ladder with his rifle, thinking he's going to shoot Harry-- one thing that has always bugged me is how Harry was standing upstairs in the house. John Lithgow is lining him up in the scope of his rifle, and in the edit, in the shot, we don't see Harry standing there holding the mink stole. We only see his face in the scene now. Before it was the flavor-of-the-month, Harry was a vegetarian and it made sense that he would naturally be a "tree-hugger." TV STORE ONLINE: Was Spielberg involved or have any say on your script? Were there things that he wanted added in during the shooting of the film? MARTIN: I think that Bill Dear and he went back-and-forth. As the writers, we weren't invited into that circle. I know there was some friction there too between Bill Dear and Universal over the release date for the film. Bill wanted the film to be released over the summer and the studio wanted it released during the holiday season. 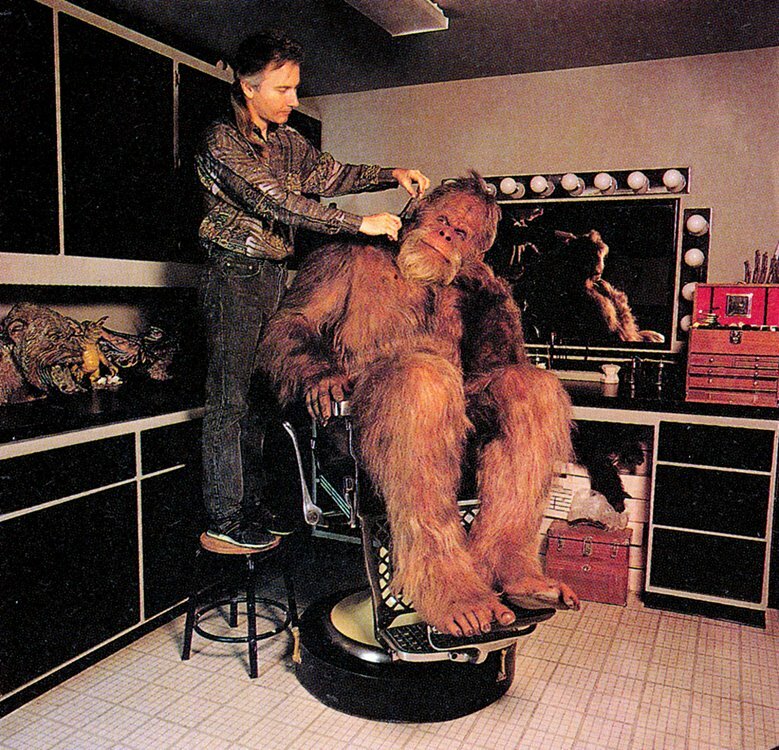 This held-up the production, almost doubling the budget of the film actually in a time of two or three months. TV STORE ONLINE: Did you have any involvement in the short-lived television series that came in the wake of the success of the film's release? MARTIN: You know, it was part of your contract that we were to be involved if they were, in fact, to turn HARRY into a television series, but they never called us. They went ahead with the series without us. We took one meeting with the studio in the end, but they weren't interested in our input. I said, "Please! Please! Don't make Harry the thing in the closet." Which is exactly what they did with it--so I'm proud to say that I had nothing to do with that television series. I did, eventually, write a sequel though. It didn't get made, obviously, in fact, it got tied-up at Universal. TV STORE ONLINE: You did? MARTIN: I did. My premise, basically, was that John Lithgow would become a Forest Ranger up there in the woods. It was more like: the family has moved from Seattle to be closer to Harry. 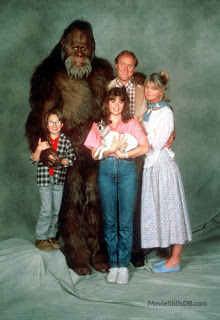 Harry did a lot of talking with the animals and he could communicate with The Hendersons. There was a scene where John Lithgow would've saw an ant crawling across a table in the morning, and as he goes to kill it, Harry stops him. Harry tells him that the ants had a bad harvest and that they just needed a jelly doughnut to survive.